1. Have a face primer that you can count on for everything. A face primer will save you from worrying about sweating your face off. If you wear foundation or a BB Cream to work every day, using a primer will help prolong your makeup’s wear until after office hours. There are different types of primers in the market like pore fillers, oil-controling ones, color correctors, and some that promise to do ~everything~. Know what will suit your skin and your lifestyle, test it out, and be loyal AF to it. 2. Fill in your brows. The easiest way to learn is to get an affordable brow pencil from the drugstore and practice on yourself. Watch YouTube video tutorials or have a friend help you out. The key is to start with a very light hand and draw small hair-like strokes. Remember, it’s just makeup—if you make a mistake, you can always wash it off and try again. Here’s everything you need to know to get flawless eyebrows. 3. Have a go-to mascara for your needs. By now you should know the difference between lengthening and volumizing mascara. What do your lashes need? What look are you going for? Have at least one mascara that you will be loyal to. Pair it with a good quality lash curler that will stand by you forever, like Shu Uemura’s iconic lash curler. It’s a little pricey, but it’s worth it. Still clueless about mascara? Here’s a guide. 4. Know when to save and splurge on beauty products. Just because a product is high-end and costs almost half of your month's salary doesn’t mean it will change your life. Most of the time, they’re actually quite gimmicky. Before you spend on beauty products, research. Ask your friends and read what people have to say about beauty things on the Internet. If you can, test it out at the shop and ask for a sample size. 5. Know your REAL foundation shade. The last thing you want is to look like a floating head, especially in photos. Find your shade by swatching foundation on your jawline and then letting it set for a few hours. Check yourself again in natural light—ditch the harsh fluorescent lighting at the mall—and see if the product melts beautifully into your skin. If it doesn’t, it’s not your shade. If you bought a foundation only to realize that it’s not your shade, here are ways you can try to make it work for you. Make Up For Ever Ultra HD Foundation, P2,600, SM Megamall. 6. Learn the difference of bronzing and contouring. It’s simple. Bronzing is done to warm up your face and make your foundation look more natural. Contouring is done to “push back” certain areas of your face to slim it down. They’re not the same, y’all. 7. Own at least the four basic lip colors. Start your lippie collection with these shades and you’ll be OK. We particularly like Covergirl's Colorlicious lippies, because they have a variety of shades to choose from. They're also highly-pigmented, long-lasting, and affordable. 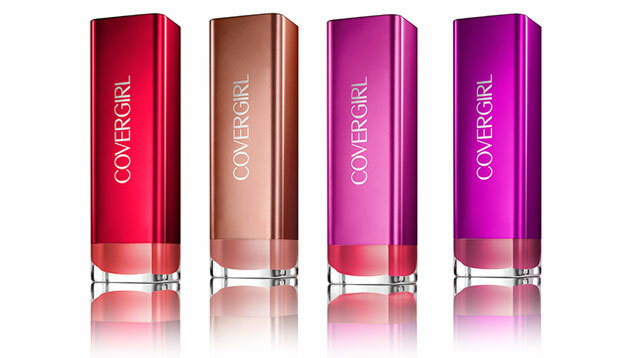 Covergirl Colorlicious Lipsticks, P395 each, Watsons. 8. Figure out how to draw on a solid cat eye. There are about a thousand beauty hacks on the Internet that claim to be the quickest and easiest way to draw on a flawless cat eye. Truth is, it’s really a matter of trial and error. Just like the tip for your eyebrows, the best way to learn is by using a liquid liner—get a cheap one at the drugstore—and familiarize yourself with your eye shape. This is the only way you’ll learn the thickness of the line that you prefer, as well as the length of the flick that you like. For an office-appropriate cat eye, try using a brown-black liquid eyeliner, like K-Palette's latest budge-proof liner, P795, Beauty Bar. Rainy day? Okay. The Best Ever K-Palette Real Lasting Eyeliner has "super shut out" property that makes your eyeliner tough against water, sebum & sweat. We say no to smudging! 9. Have a go-to concealer routine for EVERYTHING. Pimple emergency? Dark under eyes? Blemishes? Scar from your childhood? A hickey to remind you of last night’s fun? All you need is some concealer and a lot of blending! 10. Know how to put on at least two eye shadow looks. Every girl should master at least two eye looks: day and night. 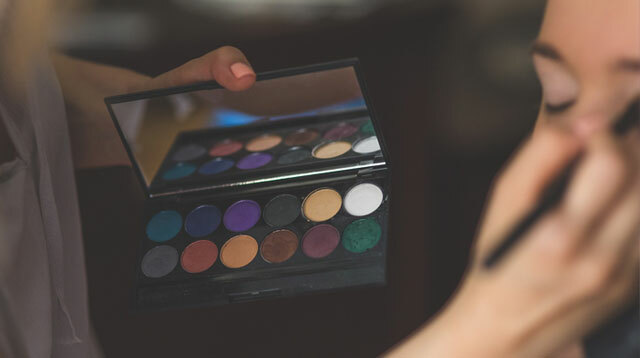 Instead of getting individual eye shadows, use a palette that already has colors that you can easily match. Start with the light to medium shade as a wash all over your lid. Blend in the darkest color onto your crease. Highlight and lift your brows by applying a highlight color onto your brow bones. Play up this look by working in more of the darkest shadow onto your crease for nighttime looks. 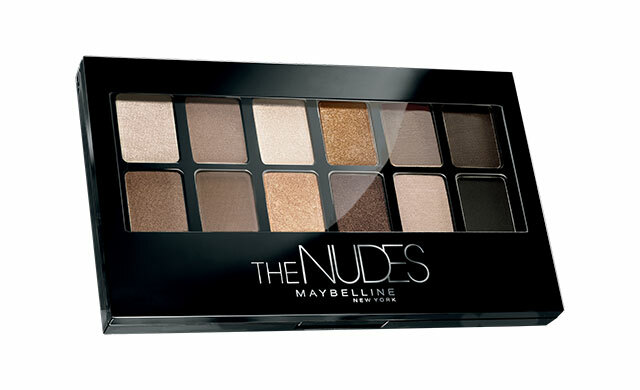 For beginners, we recommend trying out The Nudes palette by Maybelline. This compact palette has 12 different matte and shimmer shadows that you can use to create day and night looks. Maybelline The Nudes palette, P795, Watsons. 11. Have a go-to “face” for events. Lock in your makeup routine by sticking to one for every event. Change things up by playing with colors on your lips and eyes. 12. Invest in good quality makeup tools. While cosmetics have expiry dates, makeup tools don’t. We say invest in an affordable but good quality makeup brush set that you can use for different looks. 13. Be diligent about removing makeup every day. Do it for your skin! Put the same amount of time and effort you exert for applying your makeup to removing it. For best results, do the double cleansing method. 14. Own a kikay kit that will get you through the day. Still don’t have one? Here’s a guide on how to build it. 15. Have fun and experiment with makeup. While you’re at the peak of your youth, don’t be afraid to go crazy with makeup. Try all the trends out there, while you can still get away with it. Makeup is meant to be fun!